Why must I prove I am me to pay my bills over the phone? 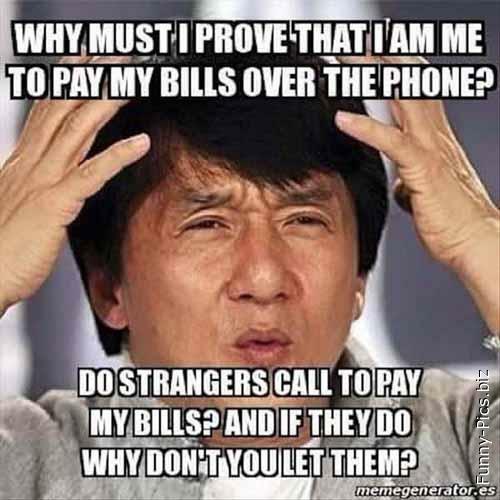 Do strangers call to pay my bills? And if they do why don’t you let them?